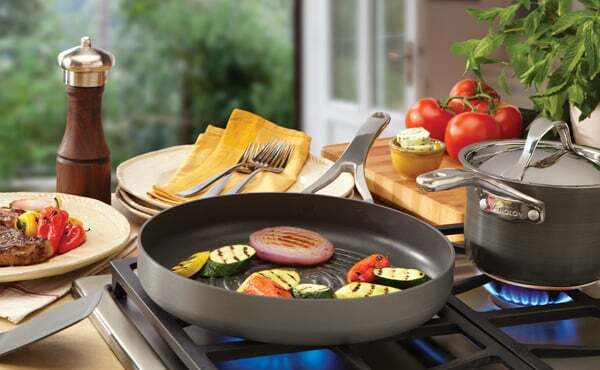 Bake, roast, boil, sauté and poach with Anolon Cookware Australia products from Cookware Brands. Anolon is a globally trusted brand, delivering high-quality cookware that allows you to cook everything from a simple fried egg right through to a complex, multi-layered lasagne. Browse through the large range of useful products, including cookware sets, saucepans, baking trays, pizza crispers, square grills, milk pans, and more!